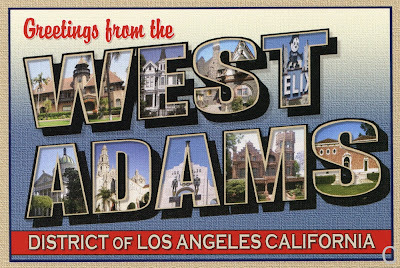 Trolling around the internet, I came across Larry Fulton's "Greetings from West Adams." For those of you unfamiliar with Los Angeles, West Adams is the neighborhood south west of downtown Los Angeles, including the area next to USC. It is home to numerous historic building buildings and homes. And, it's where my in-laws lived for fifteen years after graduating from USC. 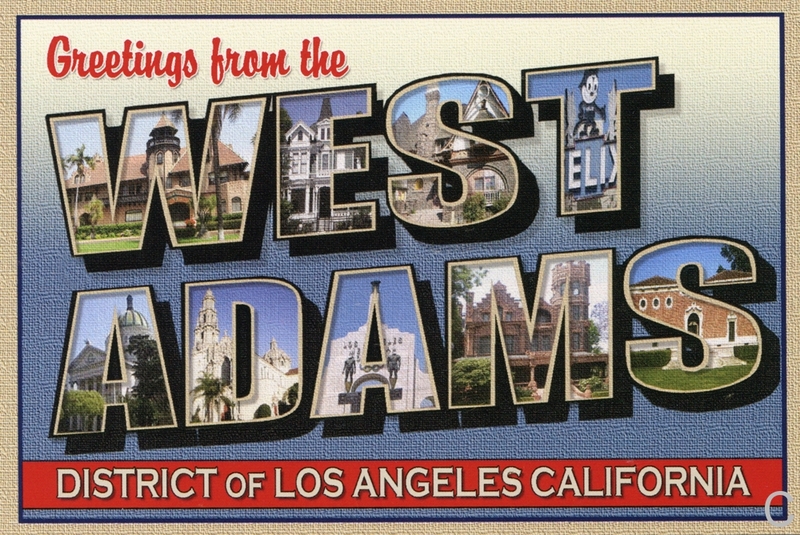 For me and my wife and kids, lots of good memories in and around this neighborhood. Topics for a future blog post. 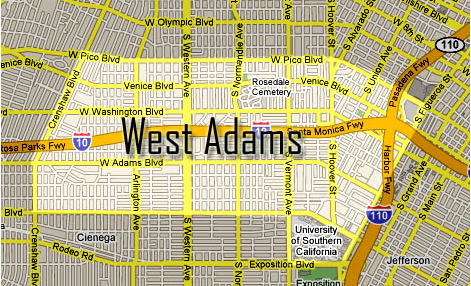 Here's a map and a link to more on West Adams from our friends at LAist.